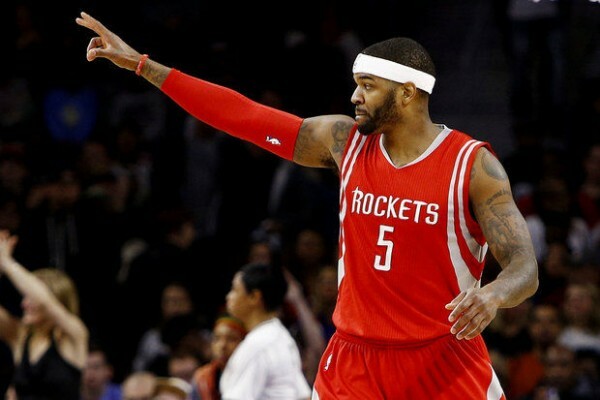 NBA Rumors – Los Angeles Clippers Best Team in the NBA After Signing Josh Smith? The addition of Josh Smith, who turned down staying with the Houston Rockets for more money, to the Los Angeles Clippers, turns their offseason into possibly the best of any other team in the league, and possibly even making them the favorites to win the NBA title next season. Besides showing us how ridiculously deep the Western conference is from top to bottom, the Clippers, who at some point during this offseason, especially when it looked like DeAndre Jordan was going to slip away from them and sign with the Dallas Mavericks, were one of the biggest losers of the free agency period. But now? They’ve signed Lance Stephenson (trade), Paul Pierce and Josh Smith, with the latter coming for a veteran’s minimum while being able to keep DeAndre Jordan in the very last minute. Yes, there are the San Antonio Spurs and Golden State Warriors in the West as well, but based on talent, the Clippers might be the best team in the NBA heading into the 2015-2016 season. Smith had an offer for $2.5 million to stay with the Rockets who helped rebuild his stature after a terrible experience (lasting a year and a bit) with the Detroit Pistons. He didn’t put up huge numbers, but played a very useful role as a backup big man for Dwight Howard and whoever was playing at power forward, with his defense and offense. Without Smith, I’m not sure the Rockets get past the Clippers in the conference semifinals, raising his game and even his usually criticized outside shooting with the team’s back against the wall. He’s still not the most efficient player to ever walk the surface of an NBA court, but having him inside a system that limits him and channels his talents towards the right role is an incredible advantage to have, especially for the money he’s making. So what made Smith choose the Clippers and not the Rockets, where he teamed up with a very good friend of his, Dwight Howard? Turns out he liked the role of backing up Blake Griffin better than what the Rockets had planned for him, which probably included more time at the center position. In short, Smith did some calculations. Money wasn’t a factor because of his salary from the Detroit Pistons who waived him last season. He decided winning a championship seems more likely with the Clippers. Right choice? I guess we’ll know in 10 to 11 months. Most people seemed to agree that the Clippers would have given a much better fight to the Golden State Warriors in the 2015 playoffs, but somehow managed to lose a 3-1 lead and series against the Rockets. So they’ve brought over some help, including an NBA champion in the form of Paul Pierce. Smith makes them even better. Perhaps the best?